You can straighten, wave and even curl hair to create many of the looks the celebrities are wearing. If you would like a demonstration on this, just pop in to the salon. It’s easy to get stuck in a rut with hair colour and keep the same colour year in year out. Even subtle changes on the tones you use can have a dramatic effect to your style. Keep your hair looking fresh and if you’re not sure of what colour suits you, come and look at our vast range of L’oreal colours and speak to one of our colour experts. 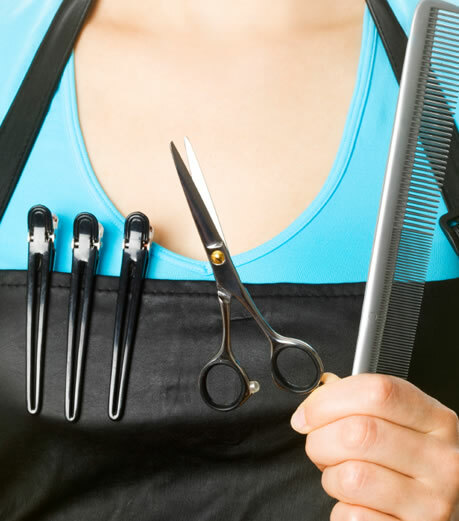 Regular cutting and good home care products help prevent split ends. For colour treated hair we advise a weekly deep penetrative treatment. We also do a fibre cutic treatment to heal split ends and to pump hair out. Kebelo blow dry gives hair smoothness, shine, softness and eliminates frizz giving hair instant manageability.We also have L’Oreal’s Extenso to relax natural curls in the hair. Should I wear my hair up or down for my wedding? They can both be flattering but it all comes down to what you feel comfortable wearing on the day. If you haven’t worn your hair up before or are unsure of how it might look, the best thing is to try a few styles first. If you are unsure at all come and look at our portfolio of up do’s for inspiration or have a trial run first!